A McGill-led international research team provides the first experimental and theoretical proof that it is possible to form strong, stable attractions between some of the heavier elements in the periodic table—such as arsenic or even antimony. Because hydrogen is not involved in creating the bond between these elements, these new materials should be resistant to water and humidity. Imagine a waterproof computer. It's not going to happen tomorrow, but it may no longer be a pipedream since a McGill-led international research team has shown for the first time that it is possible to form strong, stable attractions between some of the heavier elements in the periodic table. A recent article in Nature Communications provides the first experimental and theoretical proof that heavy, large atoms of an increasingly metallic nature—such as arsenic or even antimony—can be used to create new materials called cocrystals by using halogen bonds. Because hydrogen is not involved in creating the bond between these elements, these new materials should be resistant to water and humidity. "Quite apart from the potentially practical applications of this discovery, it is a big advance in fundamental chemistry," says McGill chemistry Professor Tomislav Frišči?, one of the senior authors on the paper. "For the first time researchers have demonstrated molecular recognition events including only heavier elements located in the 4th and 5th periods. 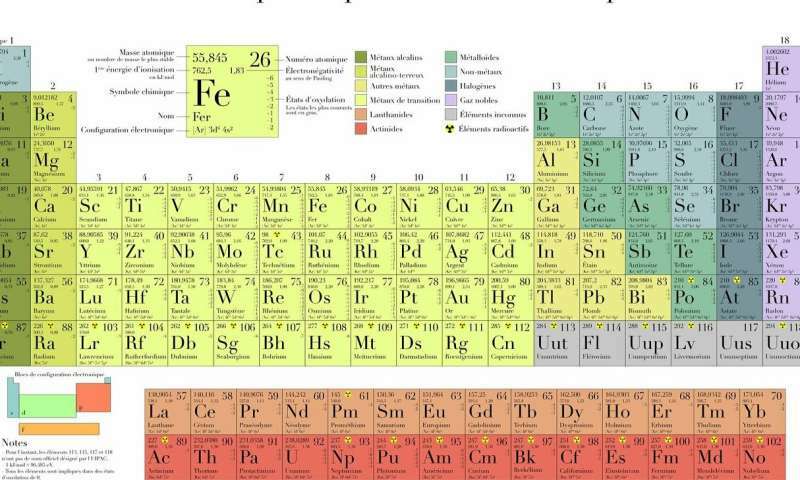 This is significantly deeper in the periodic table than has been seen until now. It is a very exciting time to be a chemist—it's as though we were explorers moving closer to the South Pole of the periodic table—and who knows what we will find there." I'm looking forward to the future where virtual periodic elemental tables will have all of the isotopes and the chemical variations that each element can have along with their availability. Being able to play with chemicals in a virtual world like Kerbal would give the future chemists of the world a huge leg up on the current ones.